By Amy Bernstein for the Foodbank of Santa Barbara County | Published on 07.25.2014 3:45 p.m.
Help the Foodbank of Santa Barbara County continue to end hunger and transform the health of Santa Barbara County by voting in KSBY and PG&E’s “Your Favorite Charity” contest! The charity that gathers the most votes overall will walk away with $10,000, and the charity that gathers the most votes per category will receive $2,000 each. In Santa Barbara County, one in four people receive food support from the Foodbank; over 104,500 unduplicated people of whom 44 percent are children. Some of the nourishment programs that help solve hunger are the Brown Bag Program and Picnic in the Park. The Brown Bag Program provides a grocery bag of nutritious staple foods including high-protein items, canned soups, pasta, cereal, eggs, bread and seasonal fresh fruits and vegetables to low income seniors, and Picnic in the Park provides free nutritious meals to children over the summer. In addition to its nourishment programs, the Foodbank also provides nutrition education to foster nutritional independence and health in children. One of these programs is Kid’s Farmers Market. Each month the Kid’s Farmers Market Program provides fresh produce and nutrition education to children from low-income families at 27 after-school programs countywide. 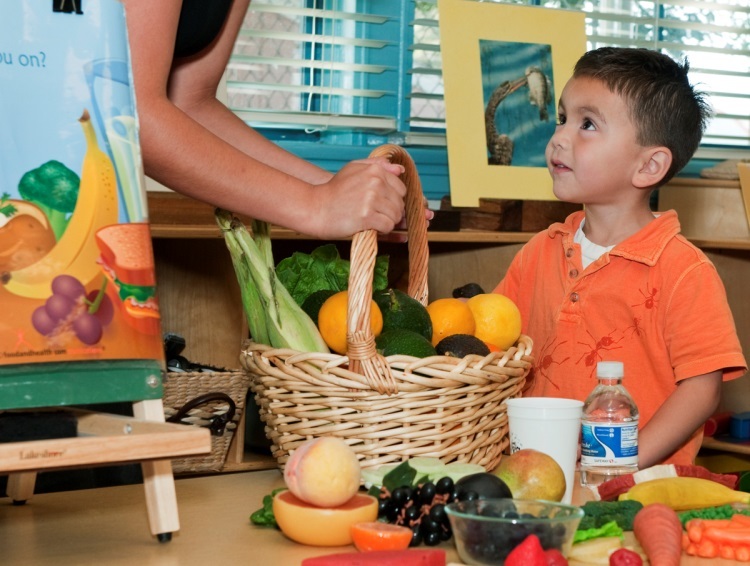 The nutrition education teaches children healthy recipes, how fruits and vegetables are grown, how they are cooked and their nutritional value and importance. Last year, the Foodbank distributed the food and resources to support 8.5 million meals — half of which was fresh produce. Vote now to help continue providing the award-winning programs to residents throughout Santa Barbara County. And keep voting once a day until Friday, Aug. 1. You can vote for one charity per day per IP address. Click here to vote. The winner will be announced Aug. 7. Click here to learn more about Foodbank and its programs. 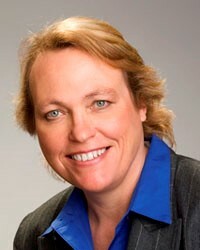 — Amy Bernstein is a publicist representing the Foodbank of Santa Barbara County. This entry was posted in News and tagged Foodbank of Santa Barbara County, Foodbank Santa Barbara County on July 25, 2014 by Judith Smith-Meyer. Help Foodbank of Santa Barbara County continue to end hunger and transform the health of Santa Barbara County by voting in KSBY and PG&E’s “Your Favorite Charity” contest! The charity that gathers the most votes overall will walk away with $10,000 and the charity that gathers the most votes per category will receive $2,000 each. In Santa Barbara County, one in four people receive food support from the Foodbank; over 104,500 unduplicated people of whom 44% are children. Some of the nourishment programs that help solve hunger are the Brown Bag Program and Picnic in the Park. The Brown Bag Program provides a grocery bag of nutritious staple foods including high-protein items, canned soups, pasta, cereal, eggs, bread and seasonal fresh fruits and vegetables to low income seniors, and Picnic in the Park provides free nutritious meals to children over the summer. In addition to its nourishment programs, Foodbank also provides nutrition education to foster nutritional independence and health in children. One of these programs is Kid’s Farmers Market. Each month the Kid’s Farmers Market Program provides fresh produce and nutrition education to children from low-income families at 27 afterschool programs countywide. The nutrition education teaches children healthy recipes, how fruits and vegetables are grown, how they are cooked and their nutritional value and importance. Last year, the Foodbank distributed the food and resources to support 8.5 million meals – half of which was fresh produce. Vote now to help continue providing the award winning programs to residents throughout Santa Barbara County. And keep voting once a day until Friday, August 1, 2014. You can vote for one charity per day per IP address. To vote, visithttp://ksby.upickem.net/engine/Welcome.aspx?contestid=136046. The winner will be announced on August 7th. July 21 – Aug 1 Help us win $10,000. Vote once a day! Are we your favorite cause? We’re finalists in the KSBY and PG&E “Your Favorite Charity” contest! We could win $10,000 to move our community from hunger to health. Will you vote for us? Please vote here. Please vote every day now through August 1st and ask friends to vote, too. Use @FoodbankSB #KSBY and #PGE4ME on social media. KSBY will announce the winner on August 7. More details here. You must be a resident of Santa Barbara County or San Luis Obispo County to participate in the voting contest. Only 1 vote per day per IP address (see contest rules). This entry was posted in Events on July 22, 2014 by Judith Smith-Meyer. California food bank receives donations from free mobile app. STAMFORD, CT, July 22, 2014 — foodtweeks, a free app that combines weight management with feeding the hungry, announced that the Foodbank of Santa Barbara County in Santa Barbara, CA has joined the ranks of foodtweeks-affiliated food banks. With the Foodbank of Santa Barbara County reportedly feeding 1 in 4 people in the community, receiving donations from foodtweeks will support the food banks ability to provide hunger relief. Each time a foodtweeks user reports “tweeking” (cutting calories from their food), Foodbank of Santa Barbara County will receive donations from foodtweeks, enabling the food bank to distribute an equal number of nutritious calories to hungry families. Keeping the users satisfied and healthy and providing the same for the struggling families gives users double the benefit. “Foodbank of Santa Barbara County is excited that foodtweeks has chosen to support us and other food banks nationwide. It’s especially wonderful because foodtweeks inspires healthy eating which is an important part of our mission,” said Erik Talkin, CEO of Foodbank of Santa Barbara County. foodtweeks makes it possible for weight-conscious consumers to be “heroes” who serve their communities by feeding the hungry, and all while cutting calories from their favorite foods in an easy, enjoyable way. foodtweeks is a product of Walker Health Labs, designers of surprising commercial solutions that also make a difference for big social problems. They have designed a way for users to make an even bigger impact by posting a “tweek” on Facebook or Twitter which doubles or triples each donation. foodtweeks offers a unique approach to weight management. Users simply tell the app what food they are thinking of buying, eating or preparing. The app instantly displays images of suggested “tweeks” that remove enough calories to make a positive difference – but not in a way that changes the taste or leaves users hungry. foodtweeks maintains a crowd-sourced picture database of more than 44,000 small changes that show users how to “tweek” everything from a particular brand of cheeseburger at a national restaurant chain to grocery store purchases, and homemade dishes of every kind. foodtweeks is rapidly expanding its partner-base to food banks all across the nation, with more joining each week, said Ms. Shannon, herself a former food bank executive. Food banks that wish to affiliate with foodtweeks may contact Ms. Shannon by email at elisa@foodtweeks.com. Jay Walker, the inventor of foodtweeks , is also the chairman of Patent Properties and curator of TEDMED, the health and medicine edition of the famous TED conference. A noted entrepreneur, Mr. Walker has founded three companies that serve more than 50 million customers. He is best known as the creator of Priceline, which brought a new level of value to the travel industry. foodtweeks is a free mobile phone app that helps people better manage their weight while feeding the hungry at the same time. Its goal is to change the way people view their food while ending food insecurity in America. This entry was posted in News and tagged Foodbank of Santa Barbara County, foodtweeks on July 22, 2014 by Judith Smith-Meyer. STAMFORD, CT – foodtweeks™, a free app that combines weight management with feeding the hungry, announced that the Foodbank of Santa Barbara County in Santa Barbara, CA has joined the ranks of foodtweeks™-affiliated food banks. With the Foodbank of Santa Barbara County reportedly feeding 1 in 4 people in the community, receiving donations from foodtweeks™ will support the food banks ability to provide hunger relief. Each time a foodtweeks™ user reports “tweeking” (cutting calories from their food), Foodbank of Santa Barbara County will receive donations from foodtweeks™, enabling the food bank to distribute an equal number of nutritious calories to hungry families. Keeping the users satisfied and healthy and providing the same for the struggling families gives users double the benefit. foodtweeks™ makes it possible for weight-conscious consumers to be “heroes” who serve their communities by feeding the hungry, and all while cutting calories from their favorite foods in an easy, enjoyable way. foodtweeks™ is a product of Walker Health Labs, designers of surprising commercial solutions that also make a difference for big social problems. They have designed a way for users to make an even bigger impact by posting a “tweek” on Facebook or Twitter which doubles or triples each donation. foodtweeks™ offers a unique approach to weight management. Users simply tell the app what food they are thinking of buying, eating or preparing. The app instantly displays images of suggested “tweeks” that remove enough calories to make a positive difference – but not in a way that changes the taste or leaves users hungry. foodtweeks™ maintains a crowdsourced picture database of more than 44,000 small changes that show users how to “tweek” everything from a particular brand of cheeseburger at a national restaurant chain to grocery store purchases, and homemade dishes of every kind. foodtweeks™ is rapidly expanding its partner-base to food banks all across the nation, with more joining each week, said Ms. Shannon, herself a former food bank executive. Food banks that wish to affiliate with foodtweeks™ may contact Ms. Shannon by email at elisa@foodtweeks.com. This entry was posted in News and tagged Foodbank of Santa Barbara County on July 22, 2014 by Judith Smith-Meyer. By Erin Bushey for Ameriprise Financial | Published on 07.17.2014 1:58 p.m. The Foodbank of Santa Barbara County has been awarded a $10,000 grant by Ameriprise Financial to help feed hungry families in the Santa Barbara area. Ameriprise selected the Foodbank of Santa Barbara County for the award in support of its mission to solve domestic hunger. The donation is one of 21 grants Ameriprise recently made to hunger-relief agencies across the country totaling $680,000 — enough to provide more than 5 million meals or feed 1,191 families of four for an entire year. The Foodbank of Santa Barbara County was recommended for the grant by Judy Pirkowitsch, an Ameriprise financial advisor in Santa Barbara. The Foodbank provides nourishment and education through its award-winning programs and a network of more than 300 member nonprofit partners. In Santa Barbara County, one in four people receive food support from the Foodbank. Last year, the Foodbank distributed the food and resources to support 8.5 million meals — half of which was fresh produce. — Erin Bushey represents Ameriprise Financial. This entry was posted in News and tagged Ameriprise Financial, Foodbank of Santa Barbara County on July 17, 2014 by Judith Smith-Meyer. 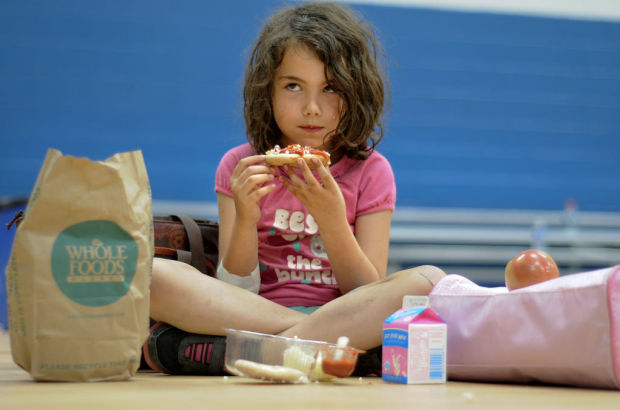 Angelina Betone, 6, enjoys her lunch at the Boys & Girls Club of Lompoc Valley. As part of its effort to reach out to children in Lompoc, the Foodbank of Santa Barbara County is currently offering free, healthy lunches around town this summer. The Foodbank took over the Summer Food Service Program — called Picnic in the Park — this year when the Lompoc Unified School District was unable to continue it in 2014 due to remodeling efforts, said community programs manager Kyli Gallington. The program is an extension of a national school lunch program put on by the U.S. Department of Agriculture. The Foodbank started its temporary program in June and will only be filling in for this summer, Gallington said. The program lasts Monday through Friday and will end Aug. 8. The four sites offering free lunches include Anderson Recreation Center, the Boys & Girls Club of America, the Lompoc Family YMCA at La Honda Elementary and Coast Valley Substance Abuse Treatment Center. One reason the Picnic in the Park program is so important is because Lompoc has the highest percentage of children experiencing food insecurity in the county, Gallington said. The lunches are open to the public, and children up to the age of 18 may attend the Picnic in the Park lunches without registration, Gallington said. Several of the sites have seen consistently high numbers in attendance, she said. Another important aspect of the Picnic in the Park program is ensuring that children are provided healthy food, Gallington said. Through the Orfalea Foundation, the program will also begin offering free food literacy classes for kids this Friday, Gallington said. The Picnic in the Park sessions generally offer both food and site activities, so the class will accompany the program, she said. Recreation Manager JoAnne Plummer said many children do not have the opportunity to eat nutritious meals when they are out of school, which was one of the reasons the school district started the program. For more information about the Picnic in the Park program, call the Anderson Recreation Center at 875-8100 or contact the Foodbank of Santa Barbara County at foodbanksbc.org. Copyright 2014 Lompoc Record. All rights reserved. This material may not be published, broadcast, rewritten or redistributed. This entry was posted in News and tagged Foodbank of Santa Barbara County on July 15, 2014 by Judith Smith-Meyer. The drought is affecting nearly everyone and many organizations, including the Foodbank of Santa Barbara County. Its clients are getting less fresh produce because of the state’s water shortage. Since the Foodbank of Santa Barbara County is part of the California Association of Food Banks, it receives much of its produce from outside the county. For years, Nichols says donors would turn in bonus loads of produce, because they would regularly experience a surplus in their harvest. The organization’s food budget has increased three-fold in the last five years. It now operates on a budget of more than $1 million, which is privately funded. Nichols says the food bank is so short on produce, that during its free mobile farmers markets, clients only have two produce options to choose from, instead of the usual 8 to 10. He says the bank can’t take in more frozen produce as an alternative, because it doesn’t have enough freezer space. “We have a few strategies we’d like to use over the next few years, especially pivoting more local rather than maybe going to other ends of the state that are more affected by the drought,” said Nichols. Food Bank Coalition of San Luis Obispo County CEO Carl Hansen says his operation faces the same problem. Its food budget has also tripled over the last five years to $2.6 million. For information on how to donate to the Foodbank of Santa Barbara County, click here. For information on how to donate to Food Bank Coalition of San Luis Obispo County, click here. This entry was posted in News and tagged Foodbank of Santa Barbara County on July 8, 2014 by Judith Smith-Meyer. 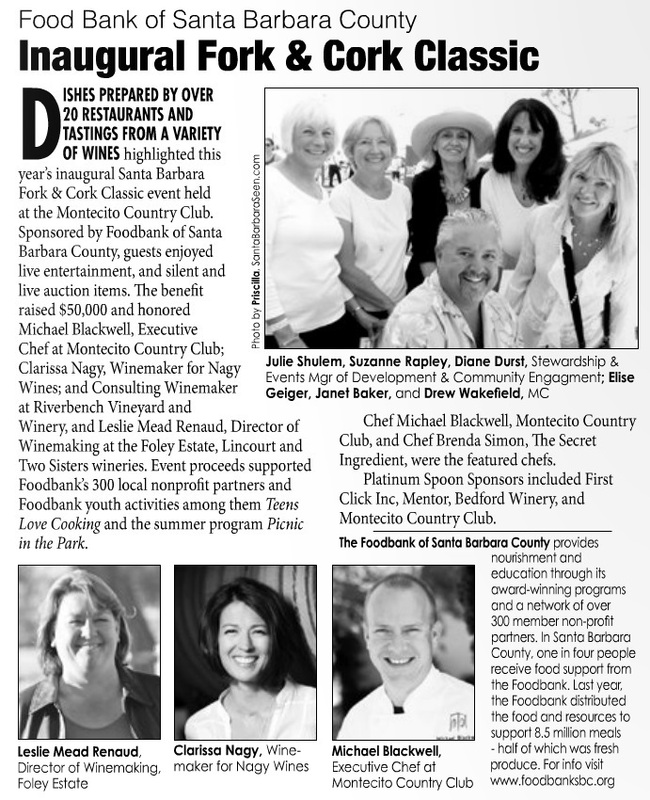 This entry was posted in News and tagged Foodbank of Santa Barbara County, Santa Barbara Fork & Cork Classic on July 4, 2014 by Judith Smith-Meyer. This entry was posted in News and tagged Foodbank of Santa Barbara County, Santa Barbara Fork & Cork Classic on July 3, 2014 by Judith Smith-Meyer.